Vessel is in great condition! Only showing signs of wear and tear throughout the years being spent in sunny Florida! Some fading on the canvas, and some wear and tear on the cushions. Owner states that she runs great and that she has provided years of joy and pleasure.. Work just completed 2/2017: - Risers/Manifolds replaced! - Major service on both engines. - Major service on both out drives. - Major service on the generator. - Complete electrical system service. - New guages/. - Finish restoration on hull and deck. Stock #038540 Time to live out your Lega Sea! Reason for selling is not able to use much!!. Some of her highlights are AC/Heat Windlass Unique Dinette set up Radar Arch Large Swim Platform & More Stock #148861 LUXURIOUS COMFORT AND STYLE!!! YOUR PERFECT WEEKEND GETAWAY!!! 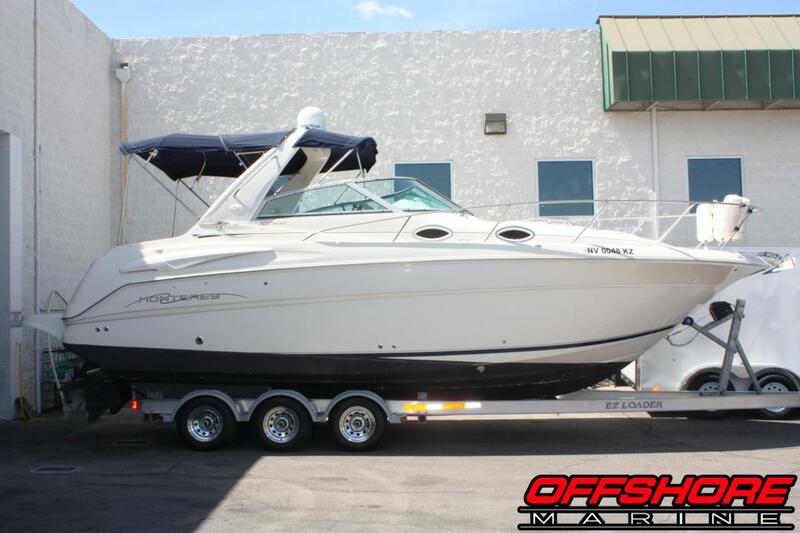 If you are in the market for an express cruiser, look no further than this 2004 Monterey 282 Cruiser, priced right at $33,400 (offers encouraged). 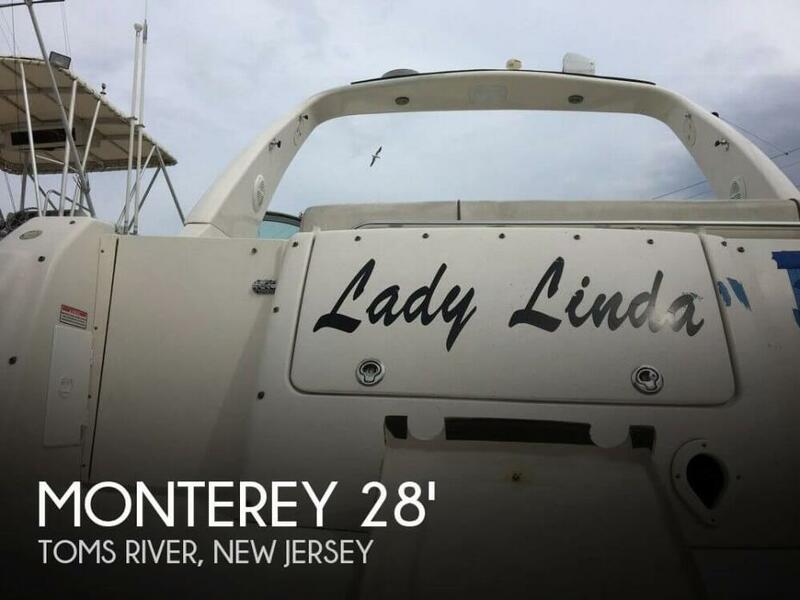 This boat is located in Toms River, New Jersey and is in decent condition. She is also equipped with twin Volvo Penta engines that have only 236 hours. 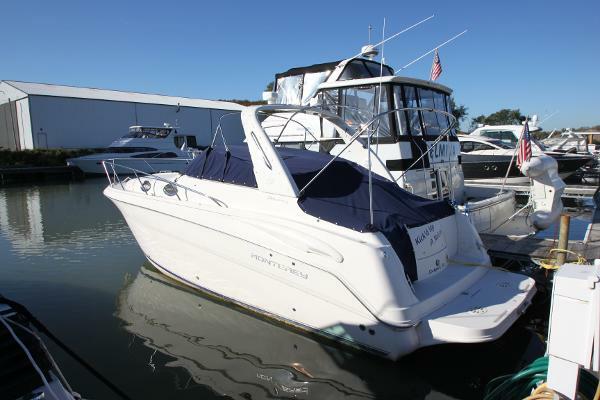 2003 Monterey 282 Cruiser Just Reduced!! Monterey always packs a lot of features into their sportcruisers, and the 282 haas everything a family needs to enjoy a long weekend afloat. Built on a deep V hull with a wide 10 foot beam. The 282 is a comfortable boat below and her floorplan with its booth style dinette is very different from most midsize cruisers. Photos coming soon!! 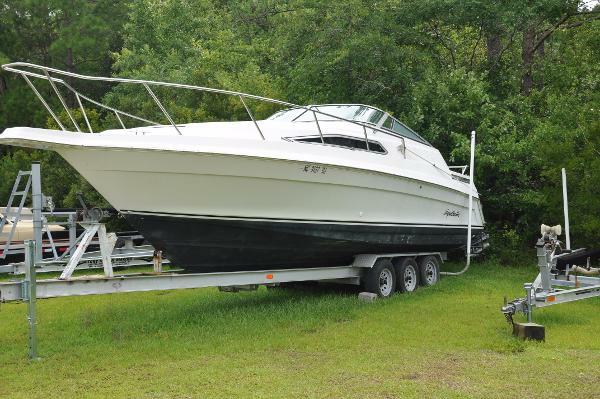 1989 Monterey 282 Cruiser GREAT PROJECT BOAT !BOTH OUTBOARDS RUN WELL !TRIPLE AXEL TRAILER !MAKE AN OFFER - GET THE FAMILY ON THE WATER !The owner of this boat wanted to own a twin outboard offshore boat, so he made one. He put a Stainless Steel Outboard Bracket on the back of his cruiser, installed two Johnson 175 Salt Water outboards, and off he went. To everybody’s surprise, the boat runs really great in the water. The boat is built on a deep-V hull with a wide 10 foot beam not only gives you a comfortable ride, but a huge cabin and cockpit. The microwave and stove remain; the head was under re-construction when the project went south. The head is actually quite large with a hinged seat over the commode which makes changing clothes or taking a shower very comfortable (when it is all restored). Would you believe the owner won Lotto, yup? The aft cabin remains intact. You would need to install some cockpit seating, maybe a flip back leaning post for a helm station. How about a cooler with a cushion for a transom seat? She is sitting on a triple axel trailer that has been rebuilt but needs new tires to be real roadworthy.There is no way to know hours on the outboards, just that they seem to run really well. I know this is an unusual vessel but with some work and polish it would make a good family fishing boat, or cruiser. 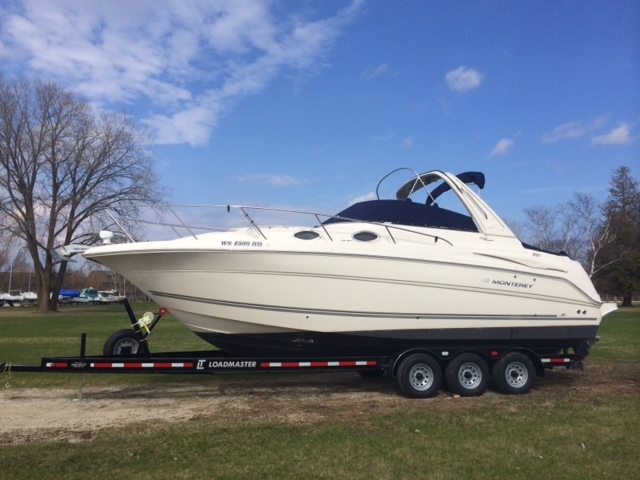 We are not looking for a ton of money and we will separate the trailer from the boat once the boat is sold.Give me a call and we can talk about it.WE OFFER LOW COST FINANCING ! WE SHIP WORLD WIDE !WE TAKE ALMOST ANYTHING IN TRADE ! 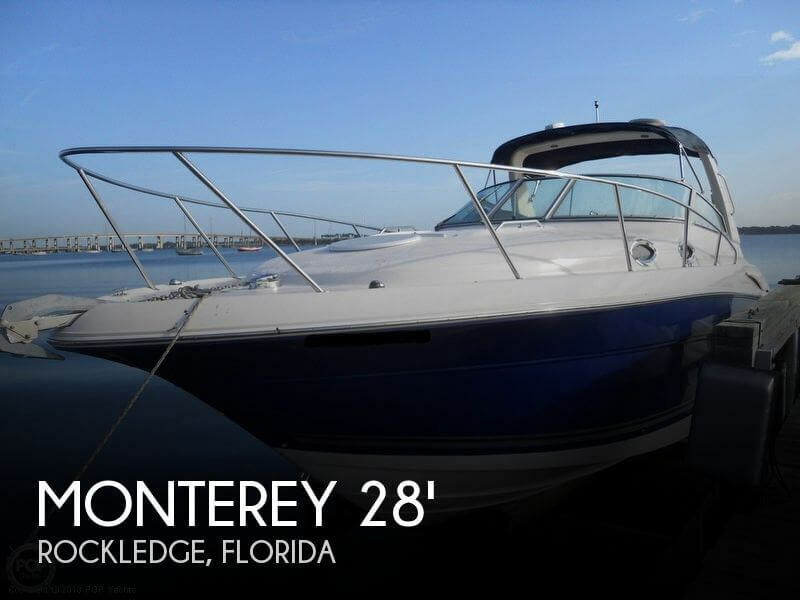 2006 Monterey 282 CRUISER, This well kept Monterey 282 is the perfect mobile waterfront property. The 30'10" LOA and 10' beam translates to roomy accommodations and a stable ride. Powered by twin 4.3L MPI Mercruisers with Bravo three outdrives. Other highlights include: cockpit icemaker, Garmin 431 GPS, trim tabs, A/C heat, and more. Come see this boat today! Trades considered.